Not exactly simple for the novice user. This is why we always turn to Jon Loomer for advice when it comes to running ads. 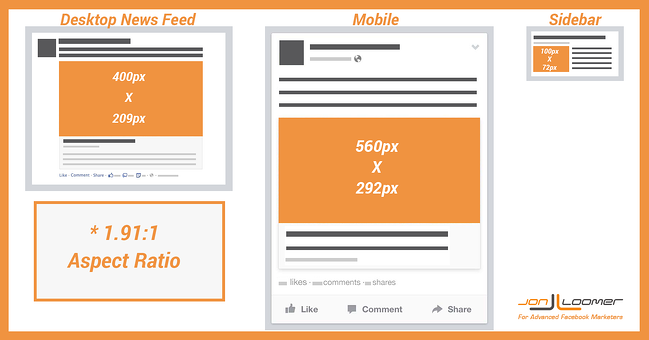 Facebook recently made some changes to the various ad dimensions across the site. As always, Jon was the first on the scene discussing the changes & providing a handy resource for the new dimensions. 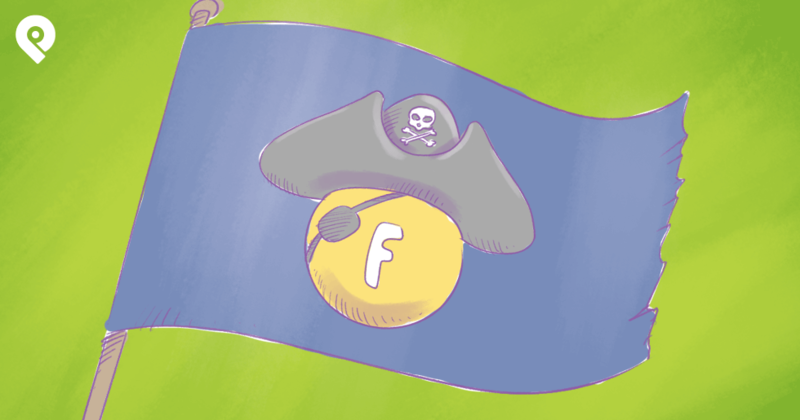 Now, instead of having to search around Facebook & Google, you can learn all the dimensions in 1 graphic -- which you can download/print/tattoo on your chest! Well maybe not tattoo it. 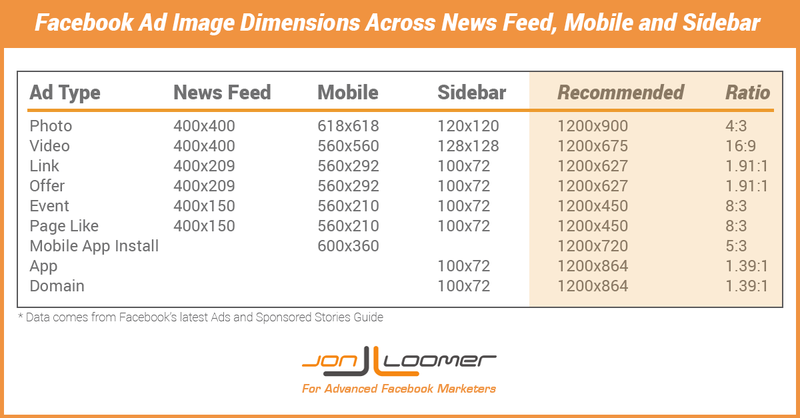 The above dimensions are for the 9 Facebook ad types. 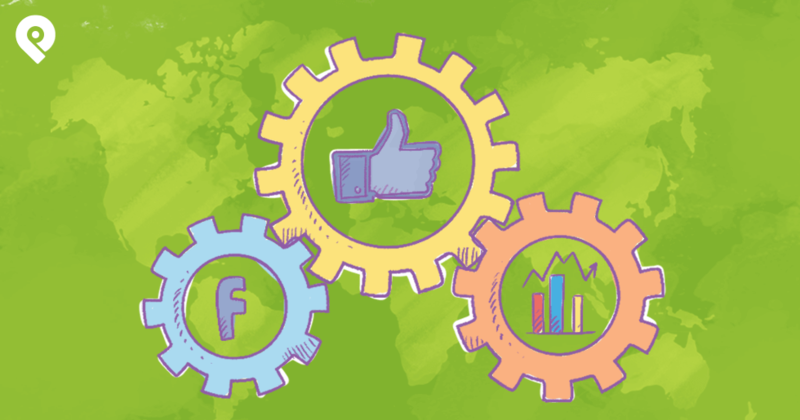 But you'll also need to keep the thumbnail dimensions for link posts in mind -- which affect how your Sponsored Stories appear in the News Feed. 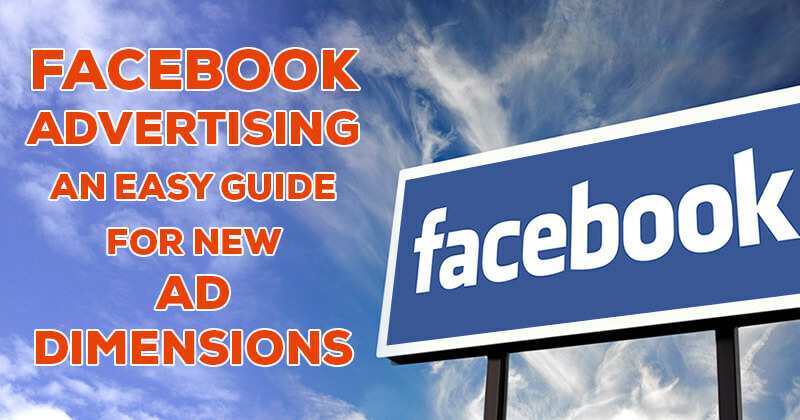 What Does This All Mean for Your Facebook Advertising? 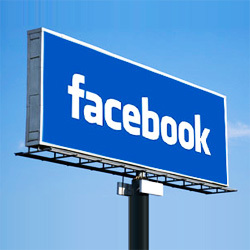 It's truly the only way to get targeted, high-quality fans & traffic. 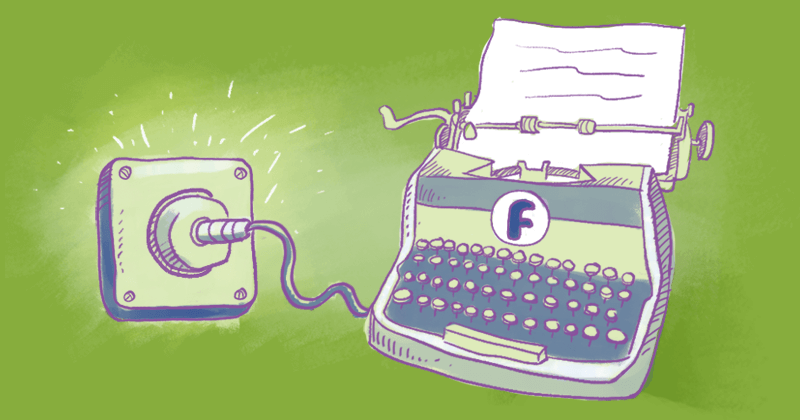 Hoping that your page/posts will "go viral" is a waste of your time -- it's just not going to happen. 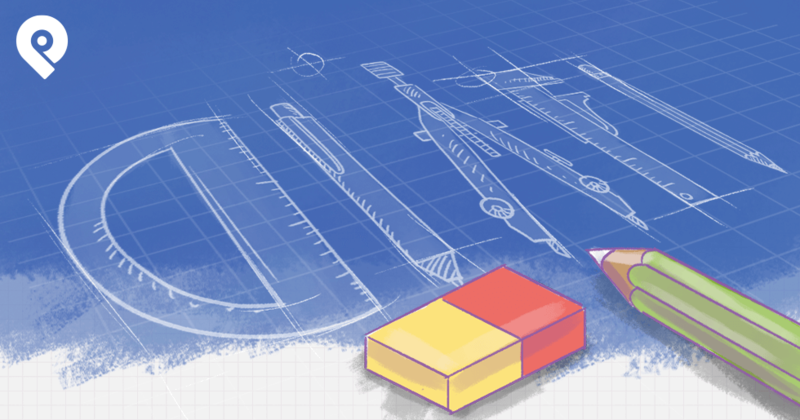 So when you're ready to run ads, use the above dimensions to create optimized graphics for your ads & page. NOTE: Don't forget to bookmark this post for further reference -- and definitely make sure to share it!